Easily measure the power consumption and cost of your electrical appliances. Simply plug the meter into the wall and then plug your appliance into the meter. 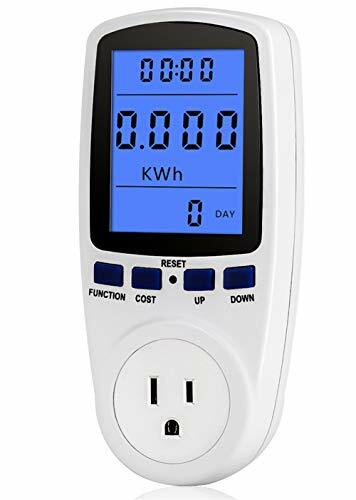 With the help of this Power Meter Monitor, You can make certain how much your standby appliances cost, what the power factor is, whether the appliances are really charged, and how long have your appliances been charged.